Easily one of the most recognizable coins in the world, the American Silver Eagle coin continues to be a coveted collector's and investor's item. This coin weighs an ounce and is struck in 0.999 fine silver. 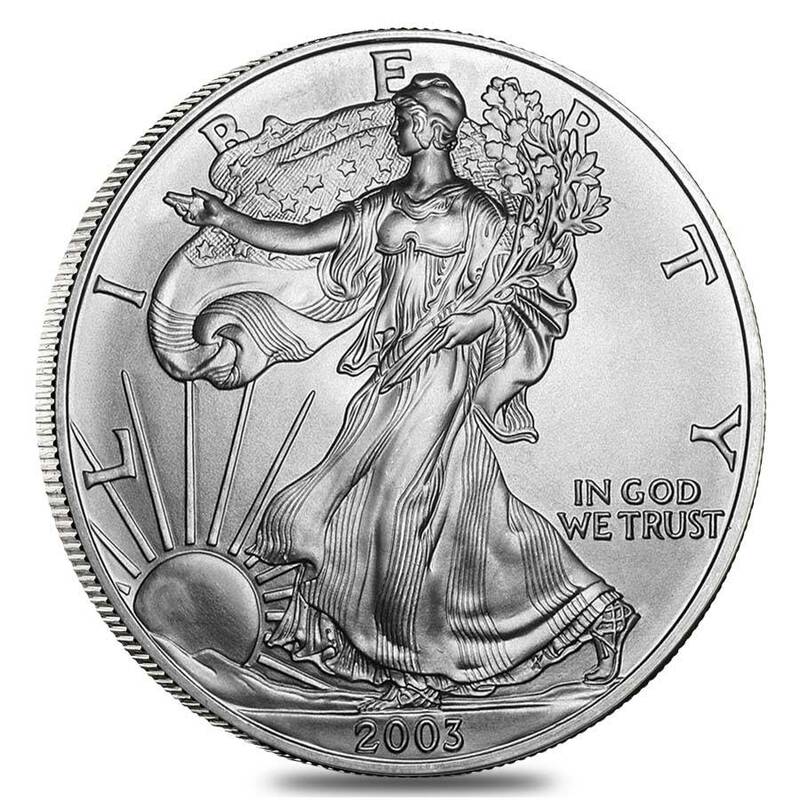 The obverse side of the coin features Adolph Weinman's Walking Liberty design, along with the words "LIBERTY" and "IN GOD WE TRUST". 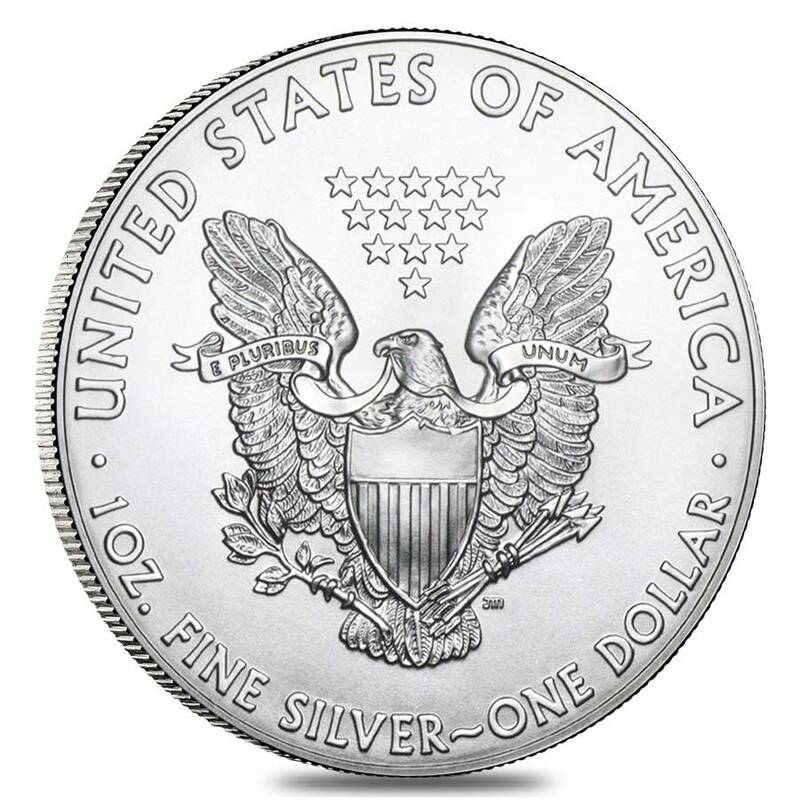 The reverse side contains John Mercanti's portrayal of the Heraldic Eagle, with the 13 symbolic stars above its head, along with the weight and denomination of the coin. It has a face value of $1 and comes in Brilliant Uncirculated condition. 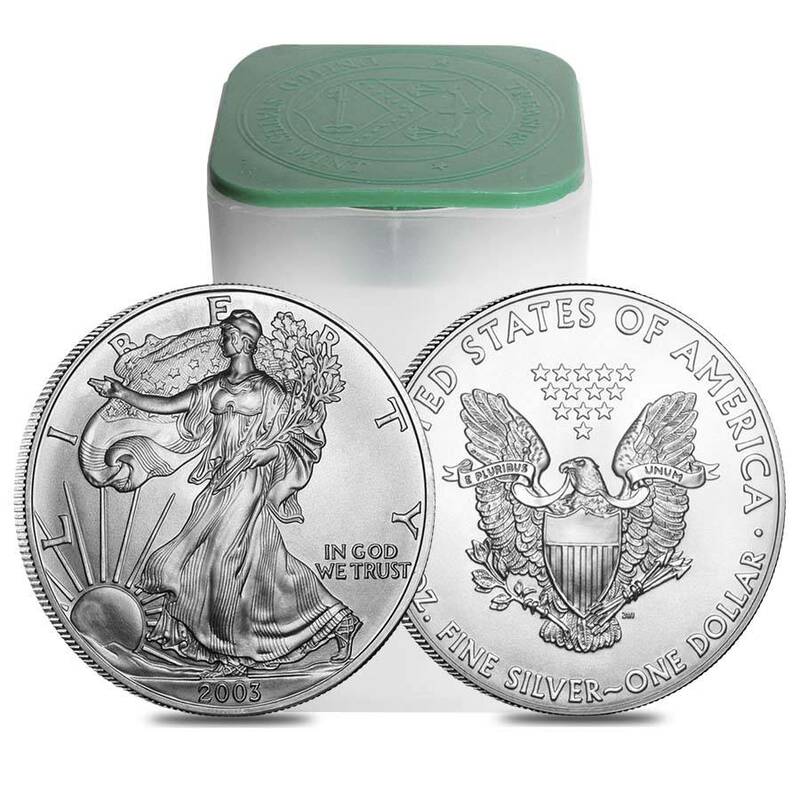 Each order will arrive in its original coin tube containing 20 coins. Like all of our other coins, this one is guaranteed to be 100% authentic. Item will be wrapped and packaged safe for delivery. With this purchase, you earn 428 Bullionaire Bucks 428 BB = $0.43. For every $1 spend, you will earn 1 Bullionaire Buck which is equivalent to $0.001 off a future purchase. 428 BB = $0.43.